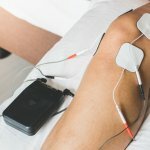 Is Therapeutic Dry Needling Effective? The physical therapists here at SSOR have been using therapeutic dry needling as an adjunct to our physical therapy treatments for several months now. We’re not the place that is sticking every patient with any condition with needles. We need to be clear about that – every patient is unique and has different presentations. Not everyone will respond to therapeutic dry needling or is appropriate for it. Some patients hate needles in general so we don’t use it on them either. Without question, dry needling has to compliment a comprehensive care plan that includes education, manual therapy, exercise, and pain coping skills. We’re a tight-knit staff and we’re always bouncing ideas off each other – what’s working, what’s not working, what’s been challenging? 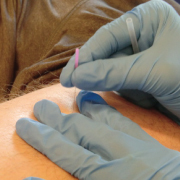 This post will highlight what we’re finding to date with dry needling. Neck/Shoulder Pain and Headaches. We’re a sitting society now. We see lots of “desk jockeys” that spend their day huddled in front of a computer. People come in with knots in their neck and shoulders. No question, manual therapy, exercise, posture education and postural exercises, and ergonomics education are absolutely required in the proper management of this, but needling of the levator scapulae, upper trapezius, and rhomboid really helps with pain relief in this area. Definitely a good compliment to treatment. Lower leg pain. 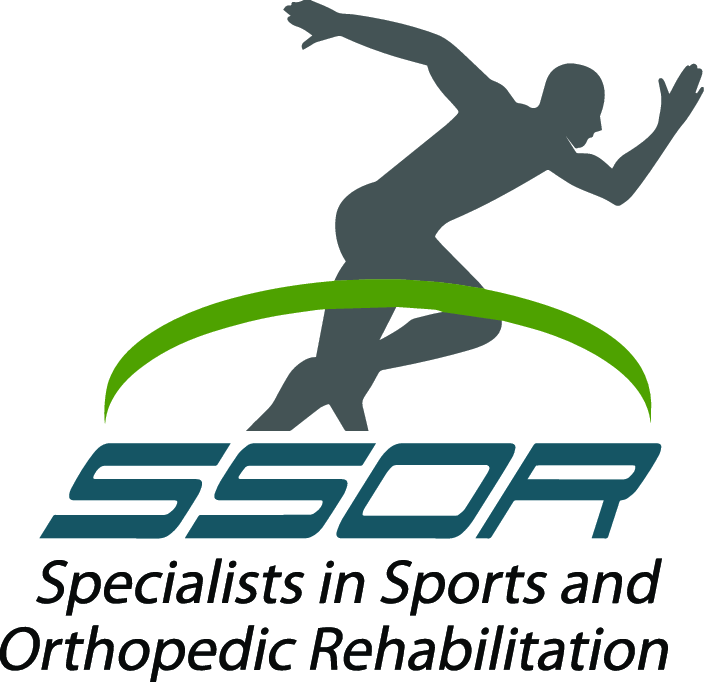 We see lots of active folks at SSOR who get “shin splints,” posterior tibial tendon dysfunction, and tightness in their calves. Dry needling can assist in the pain relief and restoration of function lost with these conditions. Working for some, not working for others. We’re still experimenting on a number of other conditions, but the ones listed above are far more common. Dry needling may help you. We encourage you to come see one of our physical therapists for an evaluation to determine if you may be appropriate for it. It can be an adjunct to physical therapy or a cash-based service if that is all you are interested in. We highly encourage a specific exercise and activity plan though to help you achieve your goals and maximize your function. It would be a privilege to serve you and partner with you in your care. Give us a call! We have locations in Overland Park and Prairie Village to serve you.